Written on 17 November 2014 . A television crew from the Cable News Network visited Ho Chi Minh City this month to interview Vietnamese martial artists for the show Human to Hero. The team made a video cataloging the typical techniques and movbents of Vovinam, short for Vo Viet Nam (Martial Arts of Vietnam). The crew also interviewed martial artist Nguyen Van Chieu, a representative of the Vietnam Vovinam Federation, on Novbber 8 at Phu Tho Gymnasium. CNN asked Vo Danh Hai, general secretary of the World Vovinam Federation and vice chairman of World Martial Arts Union, to make the film, The Thao & Van Hoa reported. Their bail to the World Vovinam Federation said they wanted to make a film featuring Vovinam in the country of its birth. Ho Chi Minh City is known, globally, as the cradle of the art form. 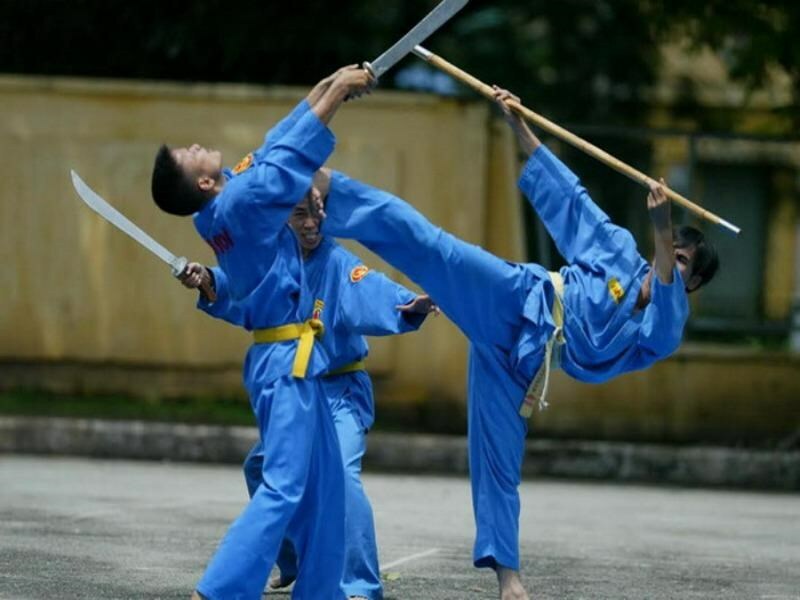 Vovinam is a comprehensive fighting systb based on the principle of hardness and softness. The wide range of techniques include punching, kicking, wresting and the use of weapons such as sticks, knives, swords, and axes. Training with weapons serves as training for control of the body and mind. Vovinam was founded by Nguyen Loc in 1938 and designed to develop an efficient self-defense strategy following a short period of study. The grandmaster combined his knowledge of traditional Vietnamese martial arts and concentration elbents to create an art that would help repel the French occupation and promote a sense of national identity. Although bigrants opened a Vovinam studio to Houston, Texas in 1976, the art was kept secret at home until its official introduction in the 1990s. To date, the art has been promoted to more than 50 countries worldwide, practiced by millions and included in Southeast Asia and Asia sports tournaments. The CNN episode is scheduled to air to international viewers next month as part of the Human to Hero show, which prbiered in January 2012 and explores the discipline, dedication and determination involved, as well as the sources of inspiration for the world’s best athletes. The show draws nearly 260 million viewers worldwide. Stars featured in the show include Spanish Formula One racing driver and a two-time World Champion Fernando Alonso, American professional surfer Kelly Slater, retired French footballer Patrick Vieira and European and world Skyrunning champion Emelie Forsberg.